How did the Indian economy fare under the colonial rule? Is the average Indian significantly better off after Independence? This column examines trends in GDP per capita in order to determine the standard of living in India under the British rule. It also explores the possible causes of stagnation in the Indian economy for about two centuries between 1750 and independence. An analysis of the standard of living of an average person in India under the British rule requires high quality historical data, which is difficult to obtain. Also, one has to ensure that historical data is comparable to more recent data. I draw upon data of Bolt and van Zanden (2013) that is available from the Maddison Project1. In this dataset, incomes2are comparable across countries and across time3. The per capita income of India in the period 1600-2010 is presented in Figure 1. The year 1600 was during the end of Akbar’s reign, which is considered to be a prosperous time in India. Starting from that period, there was a continuous decline in India’s per capita income till around 1850. This decline started well before the advent of the East India Company and therefore its origin cannot be explained as an outcome of colonial policies alone. However it is also true that the East India company failed to arrest this trend and as a result, the average income declined by 17% under their reign (1757-1857). After the Sepoy Mutiny (the First War of Indian Independence), India was governed directly by the British government. Between the Sepoy Mutiny and Independence, there was a mild increase of around 10% in the per capita income probably because of investments in physical and human capital. All in all, the average income in India decreased by 8% under British rule over a period of two centuries (1757-1947). Undoubtedly, this was a period of remarkable stagnation that cannot be explained as a result of normal business cycles. Were colonial policies responsible for this stagnation? As shown above, this stagnation started during the latter part of Mughal rule, and in principle it is possible to argue that the Indian economy would have stalled anyway, with or without British rule. In other words, it is possible that there are certain country-specific factors in India which virtually condemned it to stagnate, and British policies had nothing to do with it. Let us examine this hypothesis. If there was an innate problem with the Indian economy (such as an inability to adjust to changing circumstances), then the economy would have performed similarly even after Independence. However, as Figure 1 demonstrates, that is clearly not the case. In particular, the average income in India increased by almost 450% after Independence (1947-2010) against a decline of 8% over the previous two centuries. There was undoubtedly a significant improvement in the performance of the economy after Independence, and this is a confirmation of the point that there is no country-specific factor that can explain India’s stagnation over the two centuries. There is another potential hypothesis that may be advanced to explain this stagnation. It is possible that the worldwide macroeconomic conditions were not conducive to growth during the colonial era. Such factors should affect all countries in approximately similar ways and therefore if this hypothesis is true, then other economies should perform poorly as well. Let us consider the performance of the Indian economy relative to the British economy during this period. The data is presented in Figure 2. During the early days of the British rule (approximately the year 1750), the average income in India relative to UK was about 40%. One would expect that if the macro environment is the cause, then the average income in India relative to UK would remain close to 40% during the time of the British rule. However, that is not the case. During this time, British incomes grew while Indian incomes languished, such that in the year of Independence, an average Indian earned only 9% of his British counterpart. In absolute terms, UK’s per capita income increased by almost 300% during 1757-1947 as against a decline of 8% in Indian incomes. Hence, it does not seem that worldwide macroeconomic conditions can explain why Indian incomes stagnated over the two centuries. One can argue that UK’s performance may have been an outlier during this period. Table 1 (calculated using data from Bolt and van Zanden (2013)) shows that India’s experience was more of an outlier during this period. Did the Indian economy perform equally poorly during the entire duration of the British rule? - Far from it. In fact, there were significant variations across different phases of the British rule. Table 2 presents the data on change in Indian per capita income (relative to UK) over every 50-year period during the British rule. Prior to the advent of the East India Company, Indian income declined by 8.7% (1700-1750) relative to income in UK. Now if we consider the first 150 years of British rule from 1750-1900, then on an average, Indian relative incomes declined by approximately 8.7% over 50 years. Notice the consistency with the previous trend. A distinct change however occurs after 1900. Below, I will argue that this is the result of investments in physical and human capital, and in the development of institutions. India suffered a period of stagnation for around 350 years from 1600 till 1950. The problem originated because there was a decline in demand for Indian products such as weapons, jewelry, and luxurious textiles such as muslin (Maddison 2006). To make matters worse, a lack of a culture of innovation meant that new industries could not replace old ones. Moreover, the interests of the British rulers were not aligned with the interests of the Indian subjects. Hence, tariff policies were designed with the interests of British industry in mind. Further, the absence of sufficient investments in education meant that the culture of innovation never developed. Finally, there were significant barriers to entry that favoured British firms at the expense of Indian firms (Maddison 2006). It is only in the last 50 years of colonial rule that we see an improvement. This is likely the result of several kinds of public investments (in education, railways, irrigation etc.) that were undertaken in the 19th century. According to the Statistical Abstract relating to British India, the number of educational institutions expanded sevenfold from 15,136 in 1862-1863 to 107,415 in 1899-1900. During the same period, the length of railways increased tenfold from 2,234 miles to 23,512 miles. Along with these investments, there was also the benefit of British institutions. Examples include: (i) an efficient bureaucracy and army (Maddison 1971), (ii) Rule of law that protected private property, and (iii) the concept of India as a nation state and as a unified market (Ferguson 2003). So, why did Indian relative incomes decline for the entire duration of the British rule? 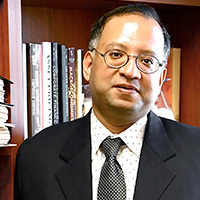 According to Ferguson (2003), while the colonial rulers did undertake appropriate reforms, the scale was too small to alter the trajectory of the economy. Most commentators agree that British institutions were indeed a blessing. However, there was also a price that Indians had to pay to acquire those institutions. The price was partly in the form of a loss of liberty, and partly in the form of a stagnant economy for two centuries. It is difficult to ascertain this price exactly (for example, it is hard to say how quickly Indians could have developed these institutions on their own, if at all), and hence there is still a debate on the net impact of colonial rule. The Maddison Project was initiated in March 2010 by a group of close colleagues of Angus Maddison, with the aim to support an effective way of cooperation between scholars to continue Maddison´s work on measuring economic performance for different regions, time periods and subtopics. Details are available at http://www.ggdc.net/maddison/maddison-project/home.htm. Incomes in this dataset are expressed in terms of the 1990 Geary-Khamis dollar and this conversion adjusts for purchasing power parities. Details are available in Handbook of the International Comparison Programme (2007) and in Maddison (2010). Bolt, J. and J. L. van Zanden (2013), “The First Update of the Maddison Project; Re-Estimating Growth Before 1820”, Maddison Project Working Paper 4. Ferguson, N. (2003), “British Imperialism Revisited: The Costs and Benefits of “Anglobalization” Historically Speaking”, The Bulletin of the Historical Society, Retrieved August 16, 2013, from http://www.bu.edu/historic/hs/april03.html#fergusona. Maddison, A. (1971), Class Structure and Economic Growth: India and Pakistan Since the Moghuls, Routledge, Oxford. Maddison, A. (2006), ‘The World Economy’, Organisation For Economic Co-operation and Development, Paris. Maddison, A. (2010), ‘Background Note on “Historical Statistics”’, Retrieved August 6, 2013, from http://www.ggdc.net/Maddison/Historical_Statistics/BackgroundHistoricalStatistics_03-2010.pdf. ‘Statistical abstract relating to British India from 1840 to 1865 (1867)’, Retrieved August 17, 2013, from http://dsal.uchicago.edu/digbooks/dig_toc.html?BOOKID=HA1711_1867. ‘Statistical abstract relating to British India from 1894-95 to 1903-04 (1905)’, Retrieved August 17, 2013, from http://dsal.uchicago.edu/digbooks/digpager.html?BOOKID=statistical_1894&object=1. United Nations Statistics Division (2007), ‘Handbook of the International Comparison Programme’, Retrieved August 5, 2013, from http://unstats.un.org/unsd/methods/icp/ipc7_htm.htm.